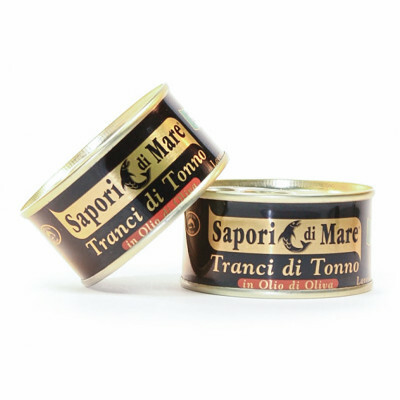 Nutrient-rich, lean fillets of premium quality tuna fish, packed in olive oil. Hand-packing them in extra virgin olive oil not only guarantees a great, fresh taste, moist tenderness and authenticity, but also improves the tuna's health benefits. Nutrient-rich yellowfin tuna and the extra virgin olive oil impart their subtle flavours on one another, so be careful not to discard the oil. Best enjoyed in a salad or with pasta alongside some pesto and fresh tomatoes. 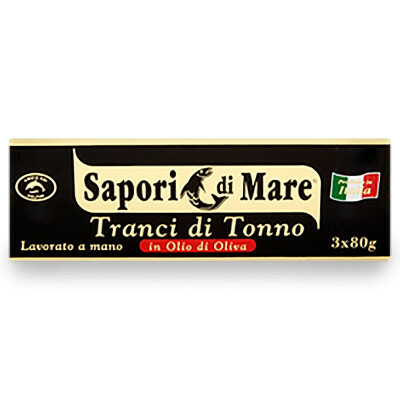 Yellowfin tuna, organic extra-virgin olive oil, salt. FISH.